The museum is located in the oldest in the world still operating oil mine. In the middle of the mine and the Museum stands a stone obelisk set by Ignacy Łukasiewicz in 1872 to commemorate the foundation of the mine. 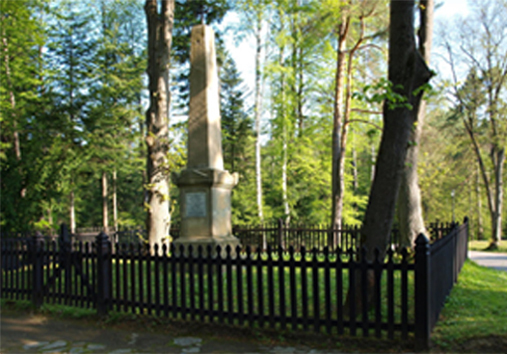 Two original oil wells from the 19th century have been preserved in the Museum names "Franek" and "Janina". The museum covers an area of 20 hectares. We invite you to the unique, exceptional museum located on the premises of a still active oil field. 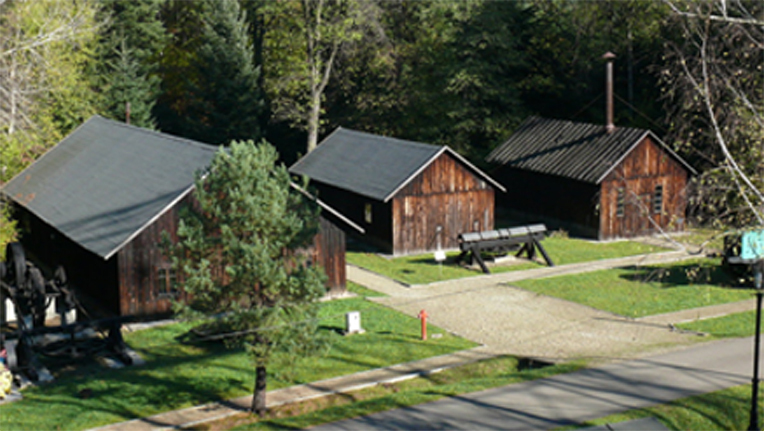 In 19th century pits surrounded by beautiful forest in Bóbrka there is natural crude oil, that is black gold. Wandering along the alleys one can see unique 20th century devices related to oil, refining and gas industry. 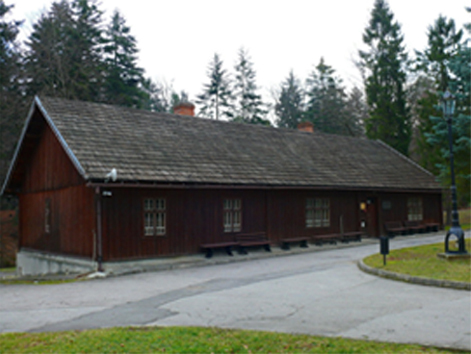 Inside the buildings it is possible to go back to the times when Ignacy Łukasiewicz himself worked in the mine. This is all thanks to modern multimedia exhibitions. The obelisk founded in 1872 by Ignacy Łukasiewicz. „Franek” pit which was dug manually around 1860 to a depth of 50 metres, and in the following years it was deepened by means of a manual drilling rig to a depth of 150 metres. „Janina” pit; dug manually to a depth of 132 metres, and then deepened by means of a manual drilling rig to a depth of 250 metres; it is exploited to this day. Wooden mechanical workshop from 1864. It was intended for drilling projects servicing with the use of a percussion drilling method. In the workshop there are the simplest processing machines. The oil field administration building, so called „Łukasiewicz’s House” from 1865, in which pharmacy exhibition was organised. Radio dramas devoted to the history of discovery of kerosene and the establishment of the crude oil mine in Bóbrka are presented in it. In the building there is a collection of kerosene lamps, photographies and a geological exhibition. Wooden forge from 1856. Inside there are two furnaces built from bricks, fanned by means of a leather bellow from 1890-1895 and equipped with old blacksmith tools. 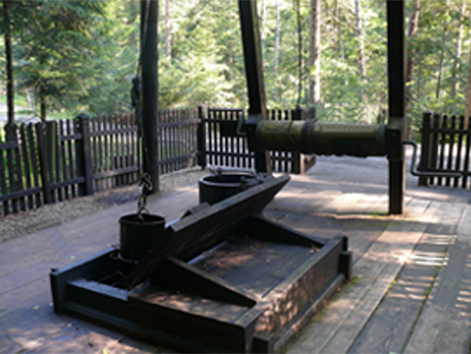 Reconstructed manual drilling rig from 1862 intended for drilling shallow holes by means of a percussion method. Wooden boiler plant from the end of the 19th century. It provided steam to drive mining devices. In the boiler plant there is a Lancashire boiler. Canadian type drilling rig from 1885 driven by a steam engine. Bitków type percussion drilling rig from 1923. Trauzl OP-1200 and N1400S rotary drilling devices. Treadmills for pumping groups of wells from 1890 and the interwar period. A collection of household and industrial gas meters. A collection of tools for rotary drilling.